Model and Makeup Artist to the stars @HeatherKirkk wearing Alpha in Clear! Whether you wear prescription glasses or not, it can be a challenge deciding on a pair of glasses based on color alone. 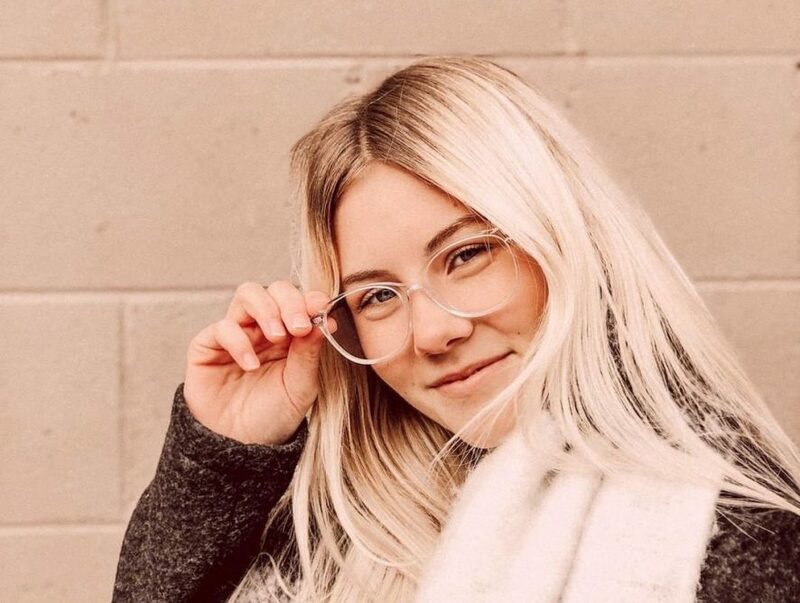 Many individuals are looking for frames that can make a bold fashion statement, yet are subtle enough to wear on a daily basis. Styles such as: Margot, Alpha, Blair, and Bravo, are all amazing options to start your eyewear collection. Many Bloggers first choice is a crystal-clear frame and it shows. Just take a look at the pictures seen in this post! Amazing right!? 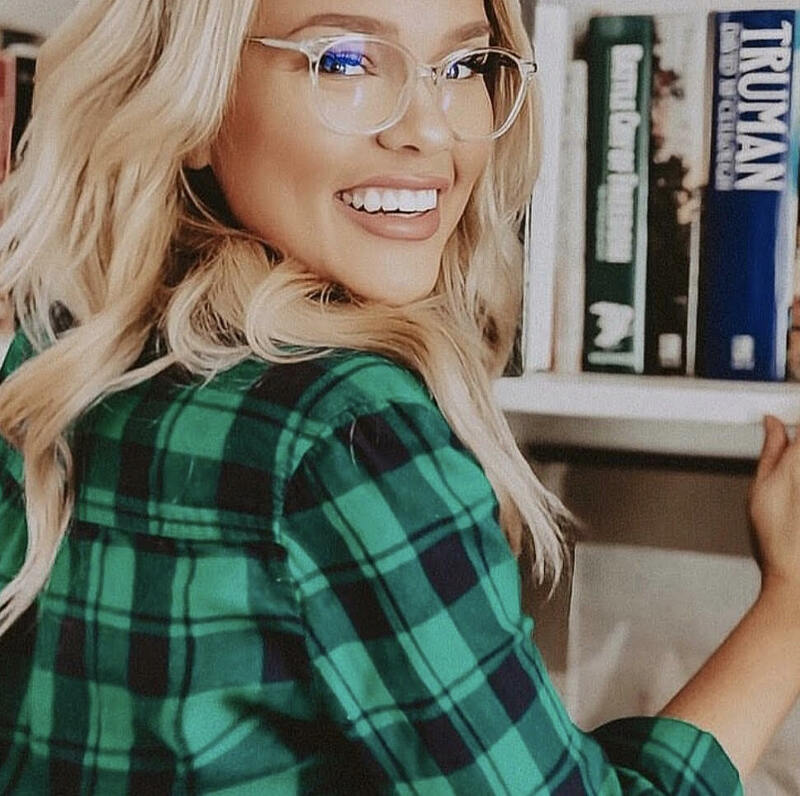 If you are an avid follower of pop culture, you may have noticed a major shift in eye wear trends over the past few years. 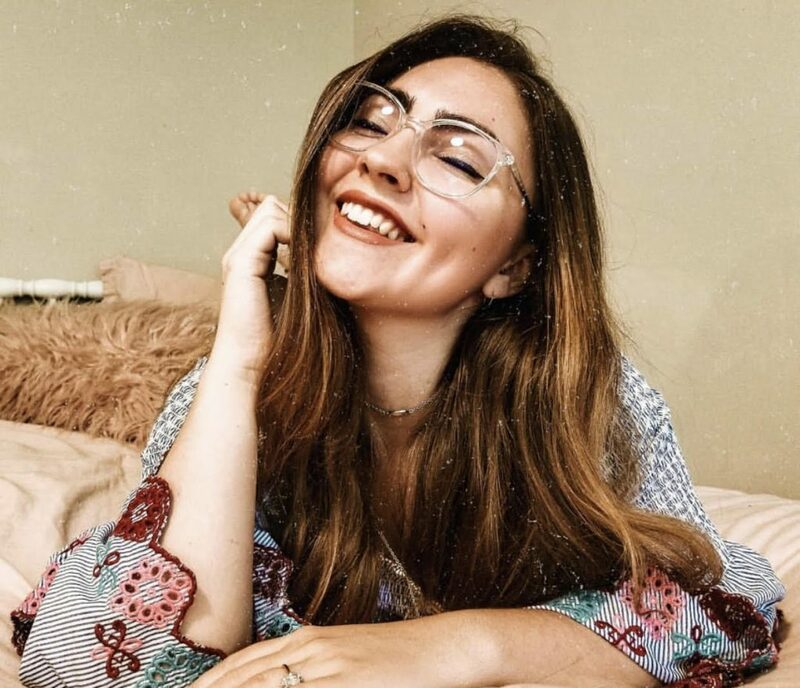 Major celebrities such as Kylie Jenner and Michiel Huisman from “The Haunting of Hill House,” are rocking crystal–clear frames, so you can be sure this look isn’t going away anytime soon.